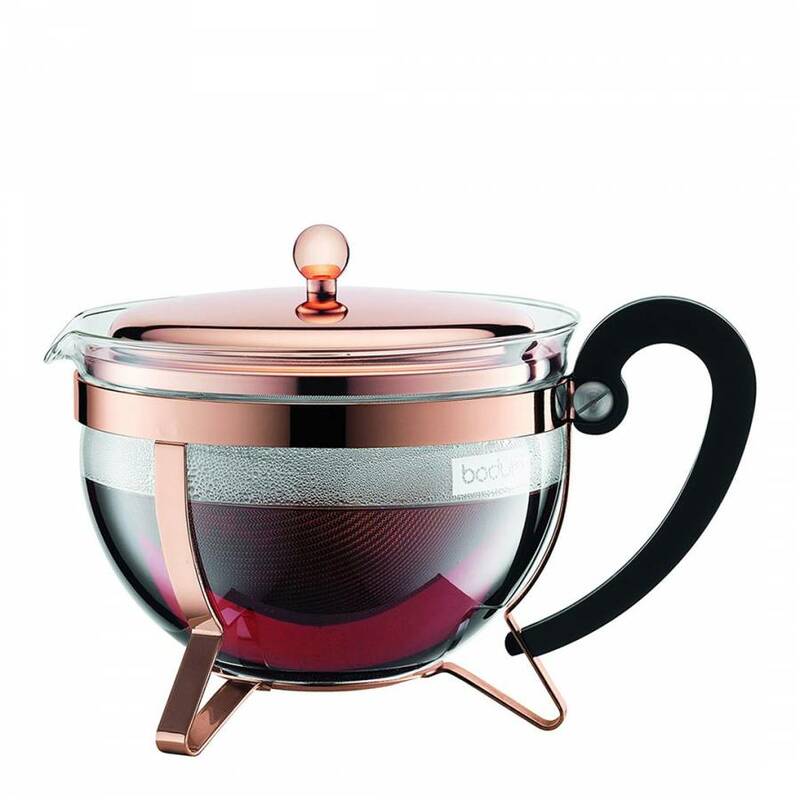 Bodum Chambord Teapot impresses with its classic understated design and is equipped with a practical filter system. To obtain a completely aromatic tea experience, simply place the desired amount of loose leaf tea into the filter of the teapot, fill with hot water to a level just below the spout. Allow the tea to steep to your liking, then stop the brewing process then serve and enjoy.